Did you know that less than 1% of HSP’s vast collection is on view at any given time? 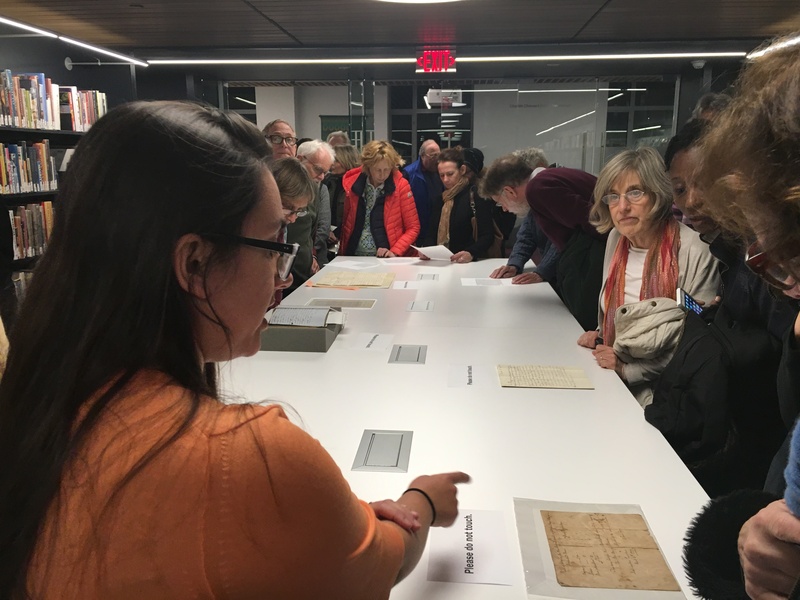 The Historical Society of Princeton’s Open Archive series allows visitors to interact with little-seen artifacts and documents from HSP’s vast collection. Featuring a different theme each time, these events present historical material with minimal interpretation (no labels or glass boxes here!) and encourage visitors to make observations, ask questions, and be the historian themselves. HSP’s Curator of Collections and Research is on hand to share information and answer any questions. February 19, 6:30 pm to 8:00 pm: Collections materials relating to architecture. Click here for details. 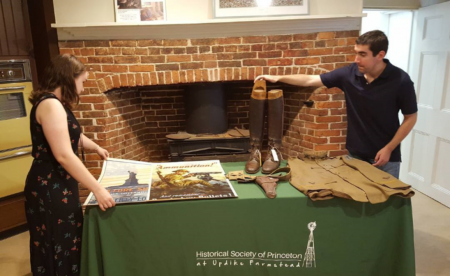 April 24, 6:30 pm to 8:00 pm: Collections materials relating to the Civil War. Click here for details. December 11, 5:30 pm to 7:00 pm: Collections materials relating to segregation in Princeton. November 13, 6:30 pm to 8:00 pm: Collections materials relating to farming and agriculture. November 7, 2018: Collections materials relating to houses on the 2018 House Tour. October 30, 2018: Collections materials relating to voting and campaigns. October 13, 2018: Collections material relating to the Stocktons and slavery in Princeton at Morven’s Slave Dwelling Project Community Day. September 30, 2018: Collections material relating to Princeton restaurants and food culture. April 17, 2018: Collections materials relating to trolleys, trains, and transit.